This month started under the West Coast sun for some of Digiteum team members. 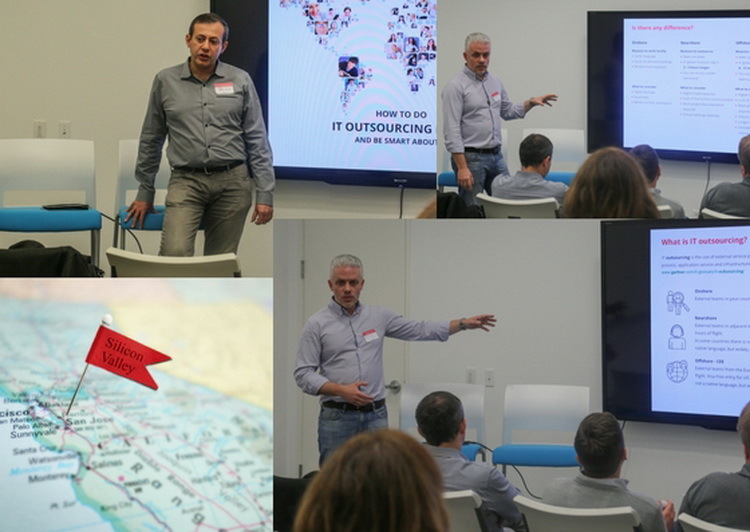 In particular, Digiteum co-founder, Michael Grebennikov, together with the member of Digiteum advisory board, Alex Golod, have held the MeetUp on IT Outsourcing to Central Eastern Europe in the heart of Silicon Valley. Here is a short wrap-up of the event. We’ve chosen the heart of Silicon Valley to hold a meetup on this topic for a reason. We didn't expect the whole local tech community to show up. It's just that the place is quite a symbol, and convenient, of course. Alex Golod, the member of Digiteum advisory board, noted outsourcing expert (think of development teams for Navteq/Nokia, Frontrange, Addus, and Popcorn Palace) was leading the panel discussion and came up with the most important issues on the topic. Roman Kaplun - Director of Engineering Services at Expedia - was in charge of the buyer’s point of view on the outsourcing to CEE. Brian Venneman introduced outsourcing to CEE in such industries as music, social media and e-commerce. And finally, Digiteum co-founder, Michael Grebennikov was in charge of providing the basics on IT outsourcing and sharing unique experience of building remote dedicated teams for such companies as AdoramaPix, Oxford University Press, IKEA, Efinancialcareers, Ladbrokes from the providers’ side. In a nutshell, the attendees - CEO, entrepreneurs, investors and tech professionals - have found the answers to the basic questions regarding the fears and insecurities that businesses confront choosing a remote partner. 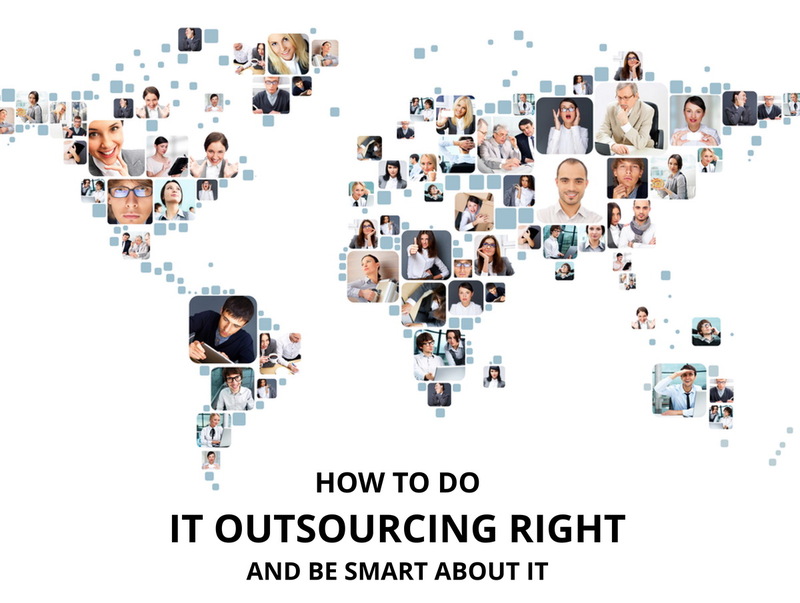 What to outsource and what not to outsource? How to prepare your business to working with the teams remotely? How not to get lost among various partnership models and locations? Why to choose this particular partner, what legal procedures to go through? What platforms and technologies to rely on and how to manage projects? Where to search for realistic prices and deadlines? How to predict quality, results, outcomes and perspectives? Soon after the the speakers covered the basic points, they moved to panel discussion with Alex in the lead. For the record, it took an additional hour to go through all the issues. Not only did the attendees dived deep into the development technologies in CEE. They also expressed interest in the locations where you can find reliable tech partners. By the way, we have published the analysis on Belarus as an outstanding outsourcing destination earlier this month. Here’s the full presentation to learn more about the basics for IT outsourcing. -Was the meetup a success? -Considering the set of opinions and different angles of discussion - investors, providers, advisors, buyers - we managed to excel. It was a successful event, definitely. -I make this conclusion relying on the opinion of Megan Smith, former Google executive, who mentioned that “there’s going to be 1.4 million tech and I.T. jobs coming within the next decade [in the U.S.] and only 400,000 trained people to fill them.” In other words, the demand of IT talent in the U.S. only is going to grow exponentially, so the interest in outsourcing to the IT locations that provide high quality will grow directly. This was a relevant topic to take, indeed. If you have missed the event for some reasons or haven’t had a chance to learn about IT outsourcing basics, GO TO THIS CHECK-LIST to find out if your business is ready to rely on IT outsourcing. 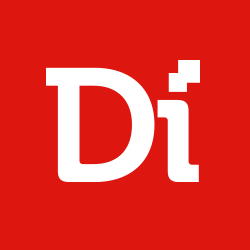 Contact us directly and talk with Digiteum experts about your tech talent shortage and needs.